First raised on April 1, 1959, and after obtaining complete independence, the flag of Mauritania is a telling highlight of the importance of its location in Africa, the widely followed Islamic religion, and the French name of its country – Republique Islamique de Mauritanie. Just like other countries in Africa, the colors of the flag of Mauritania have the hints of Pan-African colors which represent the status of the country as an African nation. 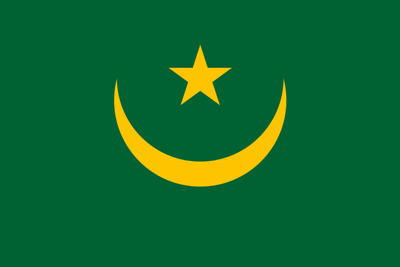 The Mauritanian flag has emerald green as the dominant color, with a five-pointed star and crescent, all in yellow colors, situated at its center. There are no available official records indicating the exact specification and proportion of the star and the crescent. But the measurement of the flag is 2:3. Known popularly throughout the world, the star and crescent are long-standing symbols of the Islamic faith. Islam is also the major faith in Mauritania. Going further into the details of the Mauritanian flag, the emerald green represents Islam and the hopeful future of Mauritania. The yellow color denotes the great Saharan desert. There is also an accepted belief that the designs of the Mauritanian flag was personally made by the former Mauritanian President Mukthar Ould Dada. 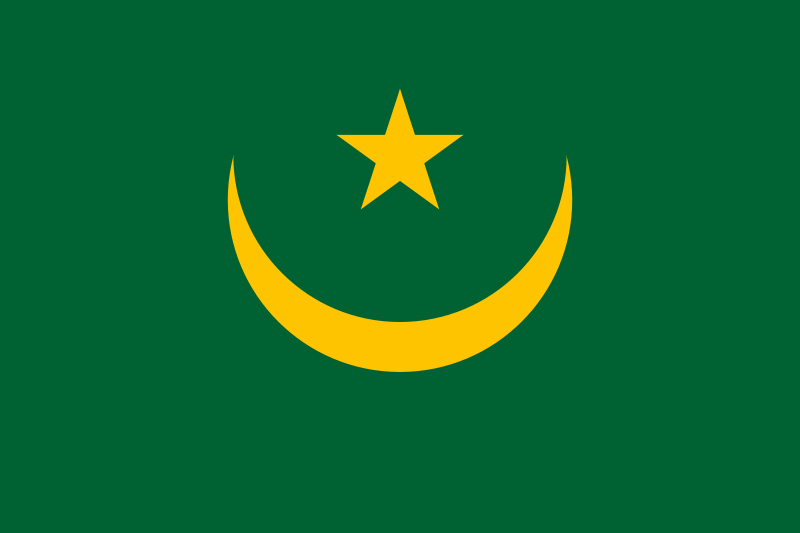 The star and crescent is the distinctive feature of the Mauritanian flag. According to the Islamic faith, the five-pointed star and crescent symbolize awareness, sincerity and triumph. It also means spirituality and independence. Legend has it that in 339 BC, a radiant and shining moon was the primary reason why Philip of Macedon failed to conquer Byzantium. To immortalize their gratefulness, the people adopted the crescent. Today, the star and crescent is widely associated with Islamic faith and is mostly adopted by Muslim countries in their respective flags. While the Jews have the Star of David, the Christians the symbol of the cross, the Muslims also have the crescent and the star. Good day very cool website!! Guy .. Excellent .. Wonderful .. I will bookmark your blog and take the feeds also?I am happy to find so many helpful information right here in the put up, we want develop extra techniques on this regard, thanks for sharing. . . . . .